Happy Sunday. 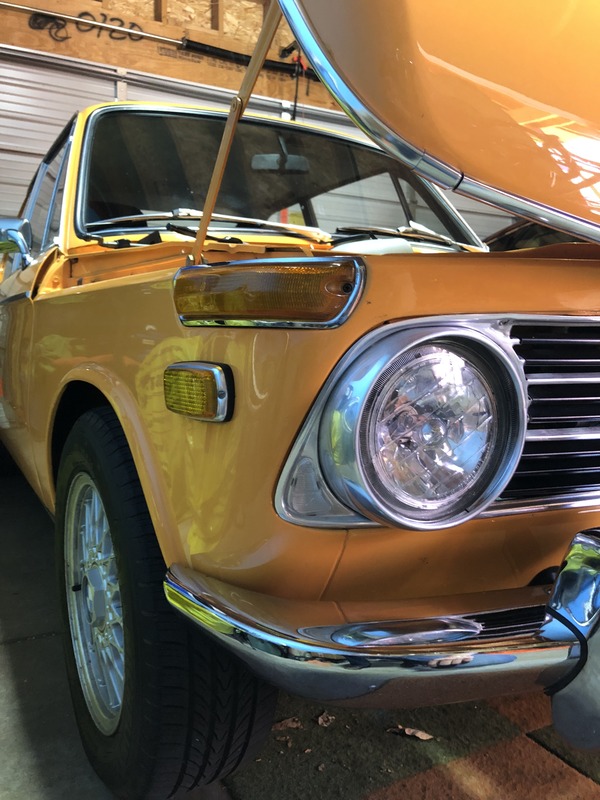 I have a restored '71 2002, and my passenger headlight is kaput. Digging in there, I found out that I have OSRAM 64193 German 55/60W H4 037R bulbs (https://www.osram.com/am/ecat/OSRAM ORIGINAL LINE-Halogen headlight lamps-Cars-Automotive Lighting/com/en/GPS01_1057023/PP_EUROPE_Europe_eCat/ZMP_61180/). They've worked well, but there's no place that sells them locally. Anyone know if I can just go to my local parts store and get any 12V 55/60W Halogen bulb instead, such as 9003 (https://www.autozone.com/collision-body-parts-and-hardware/headlight/silverstar-headlight/412573_0)? BAM! I love this group. Thank you Zellet. great selection, fast delivery to us. One thing to note, the extra bright bulbs don't usually last as long as 'standard' bulbs. (I am not wanting to burst your bulble... but you may have to replace them more often). The following is from the link above. ★★2 out of 5 stars. ★★★3 out of 5 stars. When I was still using regular bulbs (now onto LEDs) I had great luck with the PIAA bulbs; stock wattage and much more light. Dave - do you mind me asking which LED conversion you went with? The metal post with screw that the retaining spring for the driver's side halogen bulb broke when replacing the bulbs (it's old, I guess). So, the way I see it, I have to find a new H4 housing unit, replace the whole thing, or bite the bullet and convert to LED at this time. The important point about LEDs: while they make MORE light than halogens they have less DENSITY (more light but over a great surface area than the small halogen filament). This is no issue for turn/tail/stop/etc. bulbs, but for headlights it means the optics (housing, lens, etc.) MUST but designed to work with the LED bulbs. If you just pop an H4 'sized' LED bulb into you existing H4 housings, all you doing is diffusing more light out into other drivers' faces but actually getting less reflected back to your eyes from down the road where you want it. The link that @pederhorner posted looks like it comes with new/proper optics, so to me that looks like a pretty good option. I have LED bulbs in standard 7" round H4 lenses and could not be happier. Light output is considerable and visibility is greatly improved. You just buy a H4 compatible LED bulb and install it. Buy a good one though not a cheap ebay special. Expect to pay $50 for the pair. Im uncertain what post you said broke? If you are talking about the adjusting screws, IE makes a replacement kit. The cooling fan in the bulb is pretty interesting. Never heard of that before. By the way they are $43 on amazon. Appear to be the identical bulbs as shown in the earlier posting on eBay..
FWIW I like the Philips RacingVision bulbs for DRl/high beams (where they're not on at full power very often; remember the filaments last exponentially longer at lower power), but prefer the Xtreme Visions for low/main beams due to the better longevity (and still a lot of good quality light): https://www.amazon.com/Philips-X-treme-Vision-Headlight-Bulbs/dp/B00QJWUPC6. I admit those JDM Astars look like they did a pretty good job of properly positioning the LED clusters to closely match the filament position, so they'd probably work pretty well, but I'd still suggest looking at them from 100 ft. away and carefully adjusting the aim to make sure you're not putting too much light into the faces of on-comers. These are the H4 LED bulbs I went with. I've got the Cateye model housings (Osram? Cibie? I'll look when I get downstairs.) Absolutely mega. Better and more light than the HID lights in my e46. I forgot the link. Gimme a minute. Thanks everyone. This has been very educational. I appreciate everyone's input. I'll probably end up buying an LED conversion kit. I have a local mechanic that can help me, Mark Hutto, who does fantastic 2002 work.